Dot has been teaching me jewellery making and I recently made this bracelet. 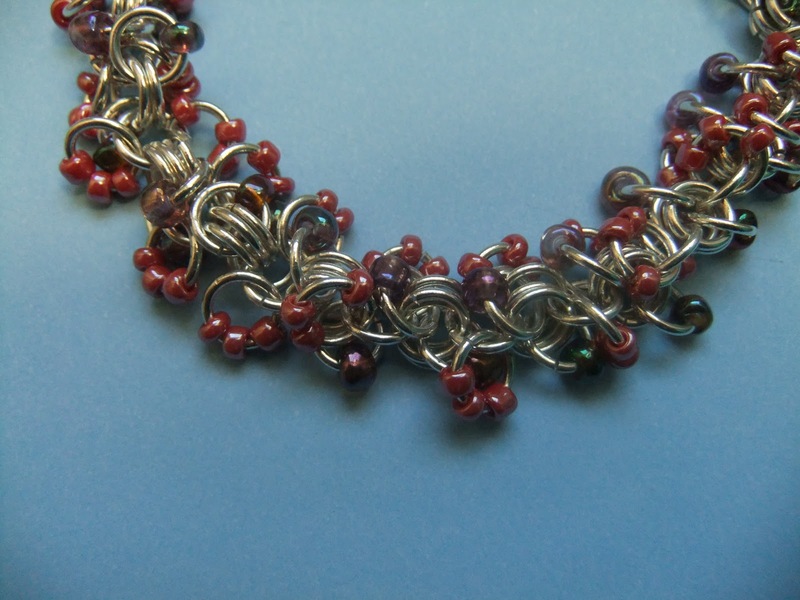 It uses lots and lots of jump rings, which need to be opened and have beads threaded on them, then closed again and added with other jump rings. Not my favourite technique. 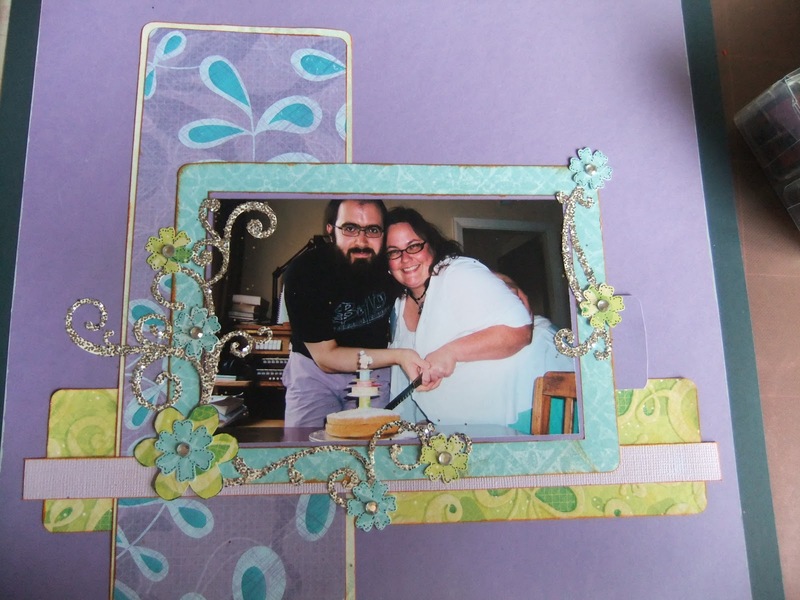 I made this scrapbook page to celebrate Jerri and Tom's recent marriage - here they are cutting the cake at Tom's Grandparents house. Jerri, very kindly, brought me some fabulous scrapbook papers from America and I have used these. I still have some words to put on it - I seem to have forgotten them!! !